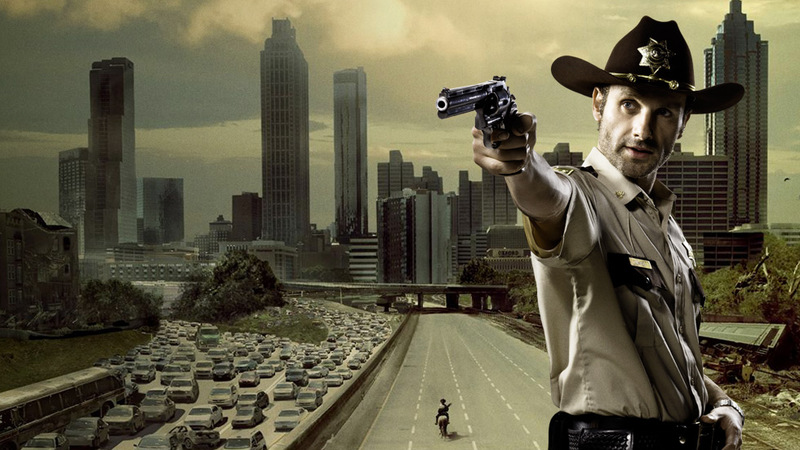 The Walking Dead – the 2nd Amendment Showcase…. Having caught up with the Walking Dead, after its mid-season (4) break, I am left defending my initial observations here, here and here, back when it all began. The problem with the drama is that it’s walking in circles. Series one saw the motley group of survivors attempting to find somewhere safe to live. Series two found them on a farm which got overrun and they had to leave, getting dispersed in the process; series 3 found them in a prison; and series four sees them overrun, back outside, and dispersed yet again. As usual I have arrived late to the party. In this instance the "Game of Thrones" which is aired on Sky Atlantic. So not being a Sky subscriber I was ignorant not only of the TV production but also the author who inspired it – George R R Martin (two initials in that one – must be a winning formula) from his collection of epic novels entitled "A Song of Ice and Fire". quite Armageddon but one which will cause much inconvenience. solar superstorm are particularly relevant today. then, and industry was powered by steam. and the only satellite in orbit was the Moon. electricity, ergo no power stations. past, but it would merely have been a storm in a teacup. tugs around her chained and mutilated zombified brothers. "The mindless creatures having their heads smashed in are already dead – so that's ok then – no harm done!" I've recently watched the first two episodes of The Walking Dead series three. Episode one in the 3rd series was a gore-fest of dead people being murdered. I've said before (see Bardiness Walking Dead) that the whole premise of this show is to transfer violent computer games into mainstream television. In fact rarely have I seen such violence, blood and guts. But it's ok – because the people having their brains smashed in are already dead – walking dead. Let’s return to the beginning. Good cop wakes up in hospital after being shot, and discovers that the world is inhabited by zombies. Through a series of adventures, the "normal" folk strive to survive under constant threat of being eaten. was a religion he would be its chief prophet. I was thirteen years old when Neil Armstrong landed on the moon. Just like every young person and every adult, I was engrossed in the event. I grew up with comic books. There were no computer games, and television was limited. As kids we played outside most of the time, and comics fuelled our imagination. Children's programmes would be mainly puppet shows: Fireball XL5, Space Patrol, Supercar – but by thirteen I'd long grown out of them. By then I was into Marvel and DC comics. I developed an interest in astronomy, and when I was eleven I got hold of a Tasco Refractor. This opened up a whole new world.